Stronger by a long stretch. 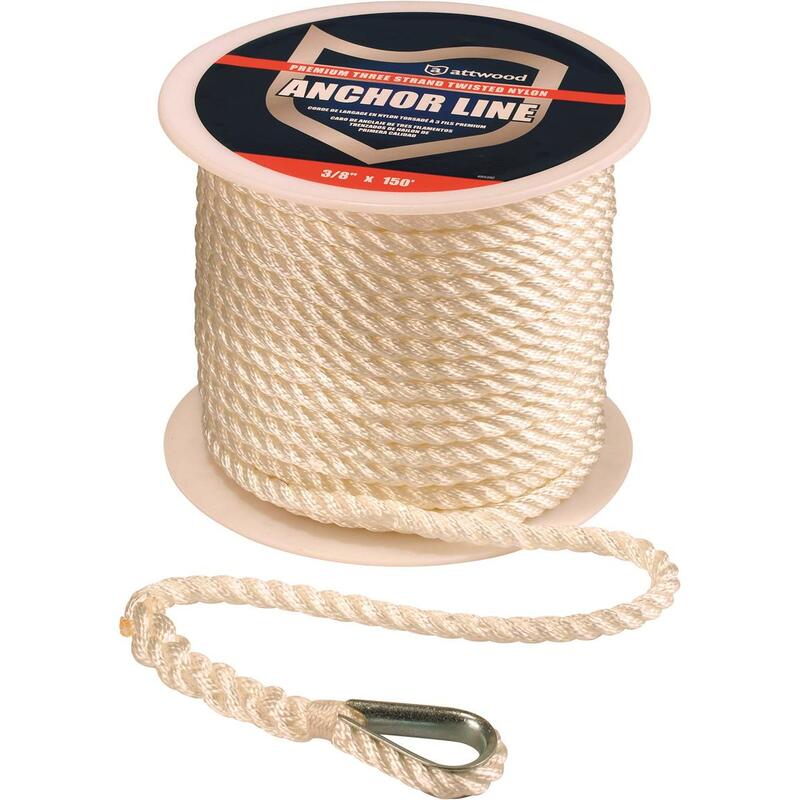 Simply put, this Attwood Premium Twisted Nylon Anchor Line is the strongest rope manufactured to hold your anchor or to keep your boat secured to the dock. This triple-woven nylon fiber will absorb sudden shock loads that would break ropes of other fibers by stretching and spreading out the tension. The multifilament nylon fiber is light and heat stabilized and will resist rot, oil, gasoline, grease, marine growth and most chemicals. A steel thimble loop on one end makes tie-offs easy. HUGE lifting power for land and sea. Perfect for replacing old, worn lines.